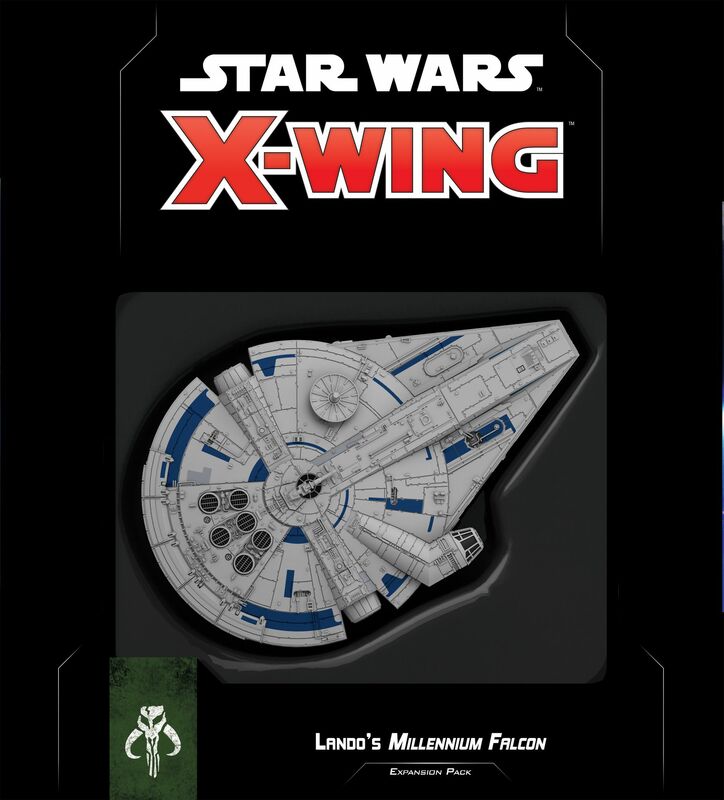 Experience the history of the iconic Millennium Falcon as you usher in a new era of space combat in the Star Wars galaxy with the Lando's Millennium Falcon Expansion Pack for X-Wing Second Edition! Featuring a beautifully sculpted Millennium Falcon miniature with a detachable escape craft as seen in Solo: A Star Wars Story, this expansion gives you another option for your Scum and Villainy squadron. The pack's thirteen upgrade cards accentuate the Falcon's abilities with gunners, modifications, and crew including Chewbacca and Lando Calrissian. Meanwhile, pilots for both the customized YT-1300 Light Freighter and the Escape Craft provide a wealth of tactical options in the heat of battle. Wenst u het gezelschapsspel "Star Wars: X-Wing (Second Edition) – Lando's Millennium Falcon Expansion Pack" aan te kopen?